Bowling might look like an easy game because all you need to do is to throw the ball at the pins and voila! You’re done. Well, in reality, that’s not the case. The bowling ball that you use for the game has tremendous effect on your overall performance. Finding the right ball is quite an intimidating task especially when you’re a beginner. To ease out your expedition in bowling world, we have picked the best bowling balls for beginners that are available. Let’s have a look. The Brunswick T-zone Indigo Swirl is a Holy Grail for bowlers that will help to take the game to a new height. This bowl comes in a beautiful shade of blue with extreme durability and precision that will meet the needs of bowlers of all skill levels. This bowling ball has a symmetric core that provides excellent torque and roll that helps to enhance the performance. The unique bullet core also contributes to the spin and torque it provides. The T-zone is made with the hand-picked superior polyester coverstock that provides utmost efficiency on the lane. The polyester coverstock makes in incredibly durable, lightweight and impact-proof on the bowling alley. Since this article is dedicated to the beginners, we have picked the balls that are suitable for straight shots. 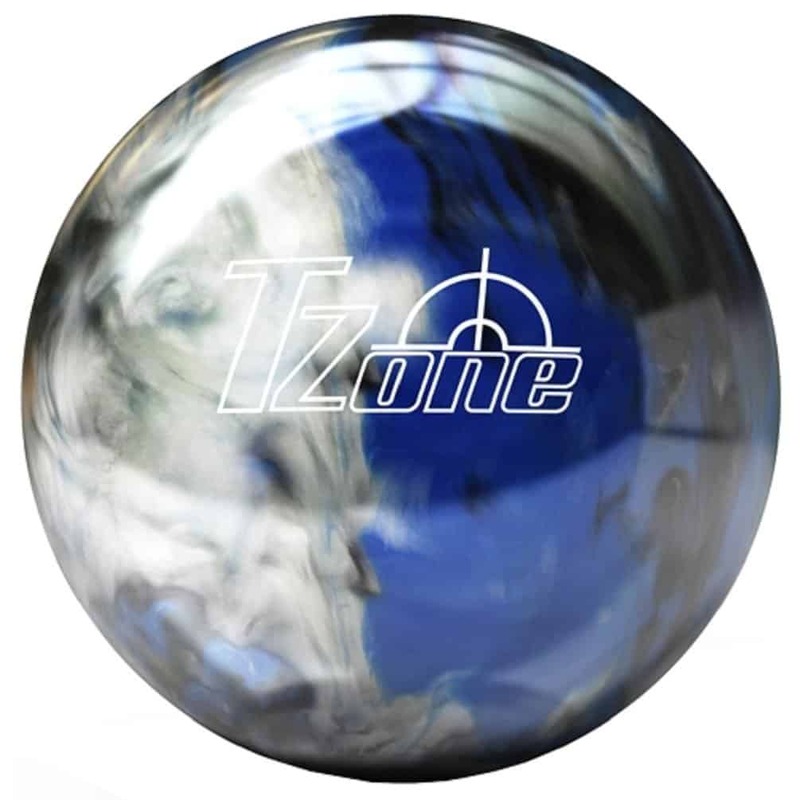 The T-zone Indigo provides superior control that enables it to roll in a straight line motion down the lane. Its perfect radius of gyration reduces skid and delay for a better reaction. Dry lanes are the most suitable lane condition for the beginners and the Indigo works like a charm on dry lanes. It offers low x-factor hook potential which makes it an ideal choice for the beginners and also for the skilled players who’re looking for a good spare. 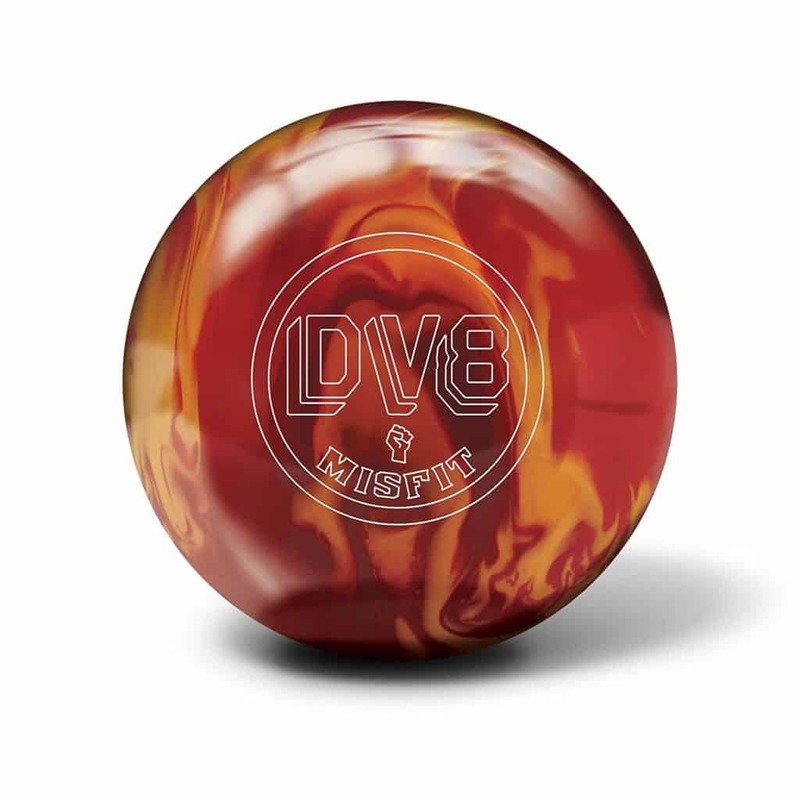 The DV8 Misfit has a high gloss polish finish that rolls likes butter on the bowling alley. It has a continuous backend motion that will smash the pins with ease. It has a Misfit core that provides versatility in a wide range of bowling condition. The core is wrapped in Class 1 reactive polyester coverstock which adds to the durability of the product. The Misfit has a low RG of 2.51 with a differential of 0.040 which give it medium flare potential. It weighs around 15 pounds and the weight of the ball is on the heavier side. This weight of the ball might be an issue for the entry-level bowlers as they might be tired after a few throws due to the weight. However, this bowling ball is an excellent choice for the intermediate players who are looking for equipment to take their game up a notch. Along with awesome specifications, the Misfit is quite a stunner too. The light green color combination is bound to catch the eyes. The Misfit is an ideal choice for dry to medium oil lanes as it doesn’t offer much hook rather offers a straight motion. The Motiv Venom Cobra does justice to the name and has a massive attack on the pins like a snake. This bowling ball is designed for the bowlers who prefer playing on light to medium oil lanes. It is perfect equipment for the beginners and the advanced players who are looking for a good ball as a spare. It comes in five different size variant to fulfill the needs of the players from all skill levels. 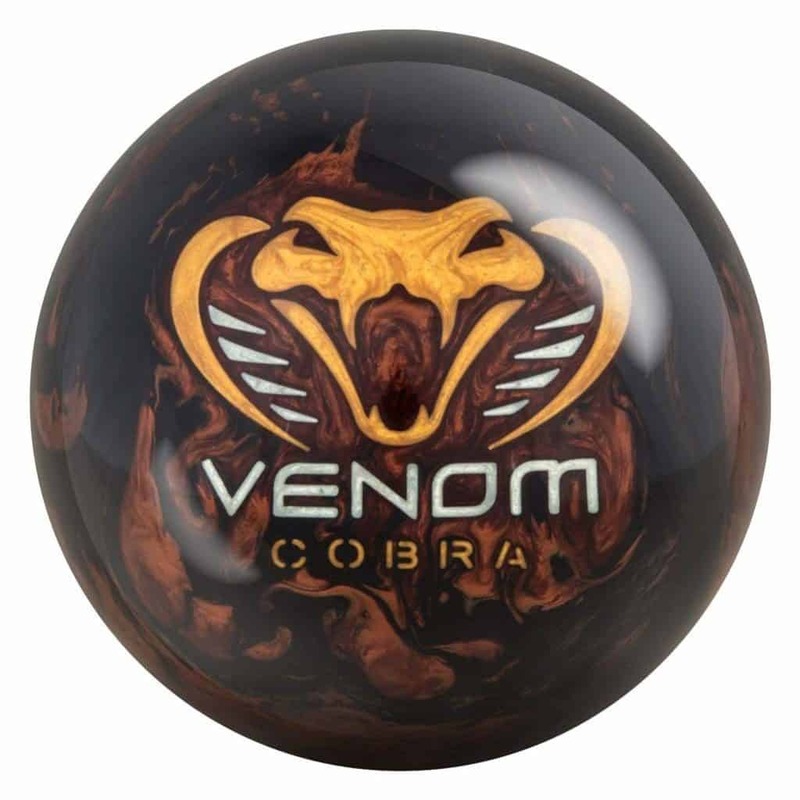 The Venom Cobra is quite a good looker and it comes in a wide range of color selection such as black/bronze pearl with gold/silver NeoMark graphics. The Venom Cobra features Motivs revolutionary Top Gear core wrapped in Sabotage Hybrid Reactive coverstock that comes out of the box with 5500 Grit LSP finish. It’s a great equipment for the beginners as it delivers excellent straight shots with a very strong back end motion. This bowling ball also has some hooking potential which is great news for the entry-level players who are trying to enhance their performance. Also, the Cobra doesn’t come pre-drilled so it gives you the flexibility to drill it in a way to suit your playing style. 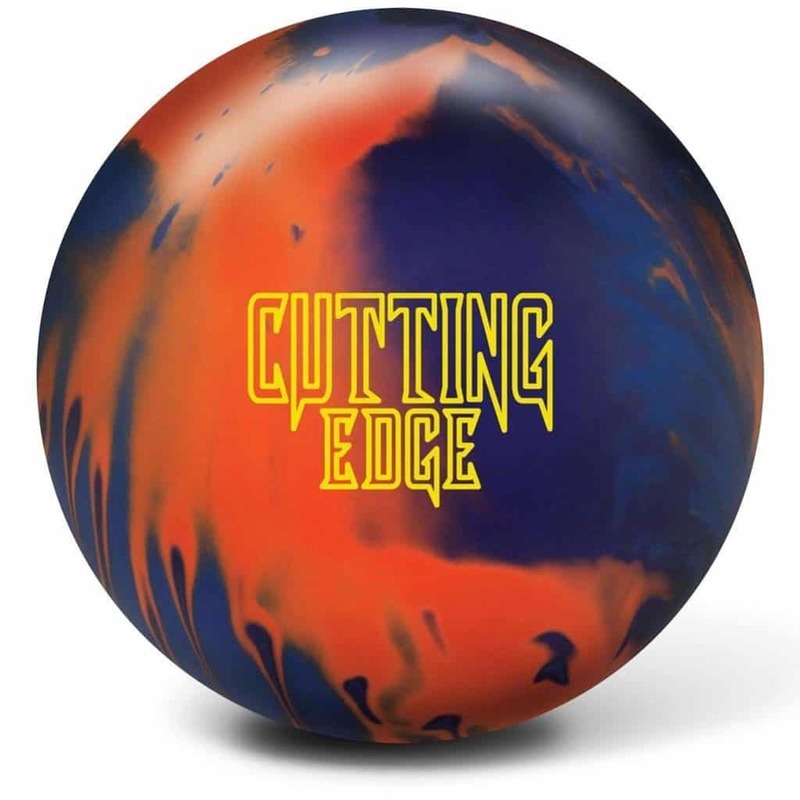 The Brunswick Cutting Edge Hybrid is a superb mid lane bowling ball that will help you rule the bowling alley this season. It’s an excellent equipment for the new entrants in the bowling world who don’t want to spend a fortune on the ball. It offers superior performance with a high reaction rate and control in a variety of lane condition. This ball has versatile features that are suitable for both beginners and the skilled players. It features Brunswick’s phenomenal Cutting Edge symmetrical core wrapped in Relativity Hook Hybrid coverstock with 500/2000 SiaAir Micro Pad polish finish. The symmetrical core enables the ball to have earlier traction in the middle of the lane with a smooth motion at the end of the pattern. The Brunswick comes in five size variants ranging from 12lbs to 16lbs making it a perfect fit for the beginners. It’s most suitable for medium oil lanes with low hooking potential. It offers an excellent price to performance ratio and this will surely help to the performance of a beginner. 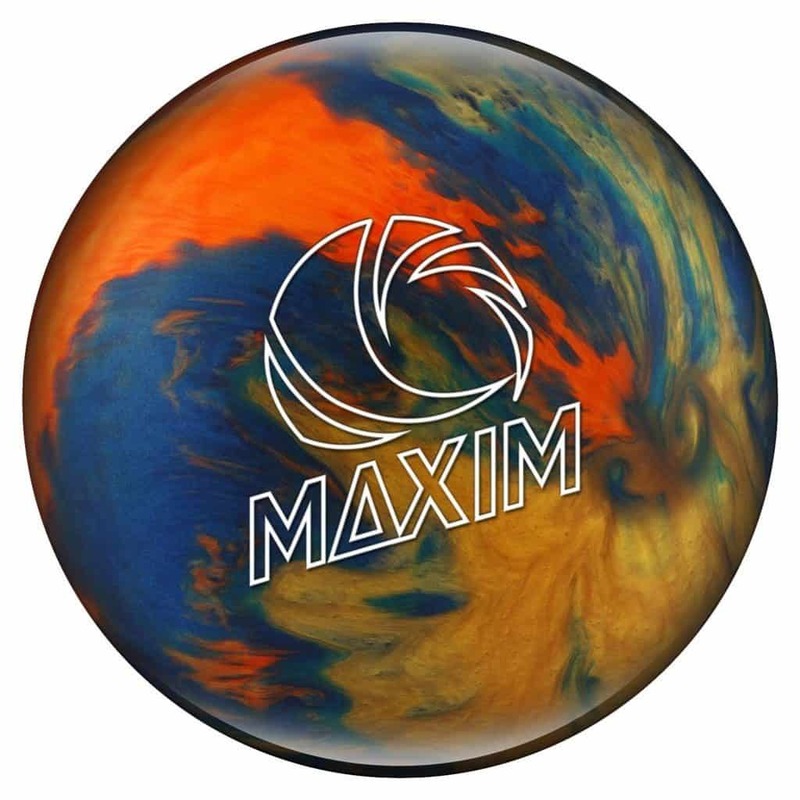 The Ebonite Maxim is perfectly suitable for the beginners who don’t want to make a dent on their wallet buying the bowling ball. This offers no hook and it’s a superb equipment to enhance your performance in the alley. It has a 3-piece core with polyester coverstock that provides utmost durability. Polyester is the most suitable coverstock for beginners as it provides better durability compared to resin or urethane coverstock. Hence, the Ebonite Maxim will last the entire bowling without any wear and tear. The Maxim comes in a whopping eight size variants ranging from 6lbs to 15lbs making it suitable for all ages, genders and skill levels. The lighter ones are extremely suitable for the children or the entry levels players who aren’t comfortable playing with a heavy ball. On the other hand, the heavier ones are suitable for the skilled players who are looking for a good spare to add in their collection. It works extremely well on dry lanes which is the best-suited lane condition for the beginners as the enables them to have greater control on the ball. Since it’s designed for beginners, it doesn’t offer any hook rather it goes straight down the lane. The Storm Hy-Road is another exceptional creation by Strom that provides fantastic performance on the alley. It comes with Storm’s revolutionary inverted Fe2 Technology core with R2S Hybrid Coverstock that comes out of the box with 1500-grit polish finish. It has the perfect read that’s needed to have control over the medium-heavy road condition. Its R2S coverstock is the new Hybrid by Storm which is neither solid nor pearl making it a great hit for the beginners. It rolls like a charm on the medium dry to medium oily lanes. It has an RG of 2.52 with medium flare potential. The Storm Hy-Road offers four size variants ranging from 12lbs to 16lbs for the bowlers of all skill levels. However, you’re looking for your very first bowling ball then we recommend you to go for the lightest one otherwise you’ll get tired after a few throws. 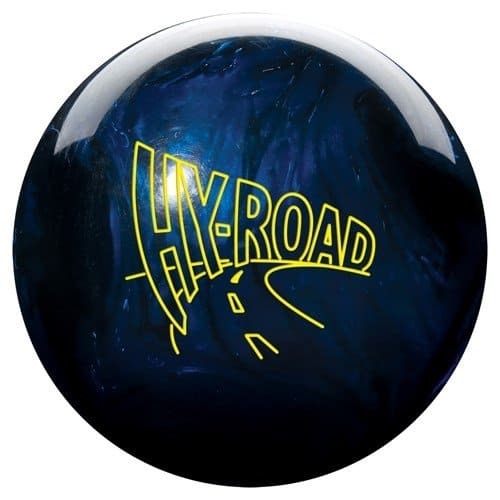 The Hy-Road comes with a very reasonable price-tag that the beginners love about this ball. It has outstanding performance that does justice to its price. Along with superior performance, the killer looks of it just an added bonus for the beginners. If you’re worried that purchasing a bowling ball will make a dent on your wallet then think no more and get your hands on the Storm Mix Urethane. 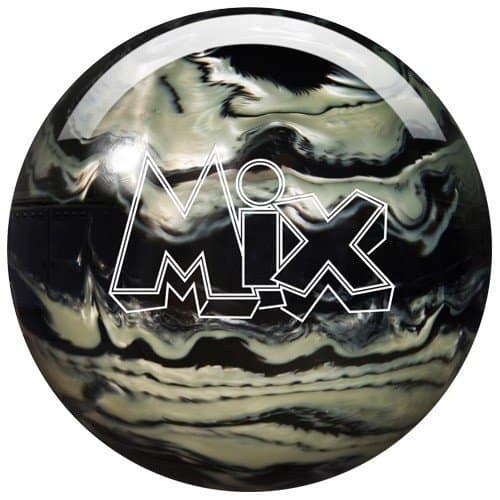 The Storm Mix is one of the best deals available in the market to ensure that you rock the bowling alley this season. When it comes about looks, the Storm Mix is an absolute bomb. It comes in beautiful shades of black/white, pink/white, purple/yellow shade. It not only looks great, but it also performs well. It comes with Traditional 3-piece core that offers excellent balance as well as control. It’s wrapped in U1S Pearl Urethane coverstock that provides excellent durability. Urethane is a superb coverstock material and it is a lot softer than the polyester coverstock. The urethane coverstock works exceptionally well on medium oil lanes with moderate hooking potential. It also works equally well for shooting straight. There are 9 size variants for bowlers of all ages and skill levels. So, if you’re a beginner looking for a lightweight bowling ball then give a try to the Storm Urethane. Overall, it’s a phenomenal bowling ball that delivers outstanding performance under various lane condition. Having the right ball will enhance your performance to a great extent. Now that you know about the best bowling balls for beginners available in the market, let’s have a quick look at the important features that you need to emphasize on before making the ultimate purchase decision. Imagine getting a ball with a fortune only to discover that it’s made with sloppy material. 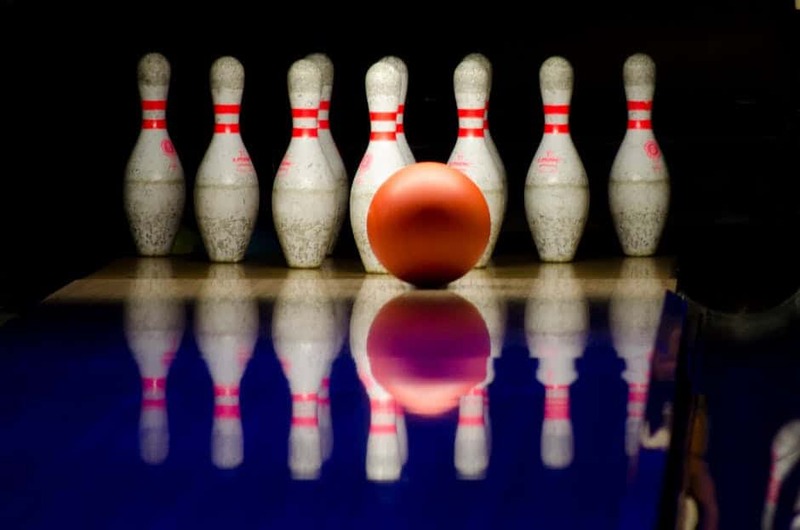 The material used on the used on the outer layer of a bowling ball is known as coverstock. There are three main types of coverstock such as polyester, urethane, and resin. The type of coverstock usually varies with the playing style and skill levels. Polyester coverstocks are the beginner friendly ones as they are more durable and cheaper compared to the other ones. The urethane and reactive resin covers have more hook potential, therefore, they are suitable for the advanced players. The weight of the ball is another feature that has a severe impact on your overall performance. As a beginner, if you get a ball that weighs too much it’ll hamper your performance as you’ll get tired after a few throws. On the other hand, a ball that weighs too light have chances to swerve off the lane that is not desirable at all. Most bowling balls don’t come pre-drilled and they need to be drilled after the purchase with additional cost. Drill the ball according to your playing style and the curvature of your hand. As a beginner, we recommend you to get a ball with low hooking potential as they are harder to control on the lane. Instead, get a ball that is suitable for a straight shoot so that you can have control of it. Price is the most crucial factor for every purchase decision. Bowling balls are quite expensive so we recommend you to get a ball with a moderate price tag that offers decent durability. Once you’re confident enough and have gathered more skills then shift to a more expensive ball with better quality. Finding the right equipment is a daunting task for a beginner. Having the right bowling ball will dramatically increase your performance and take it to a new height. After extensive research, we have gathered the best bowling balls available in the market for the beginners from the wide pool of balls available. There’s no better way to figure out which one will work the best for you rather than through trial and error. You might not find the perfect one at the very first try but we assure you that all the balls that we reviewed offer phenomenal performance with exceptional durability. So, the ultimate decision is yours. Go get the one that suits your style and strike like a pro!